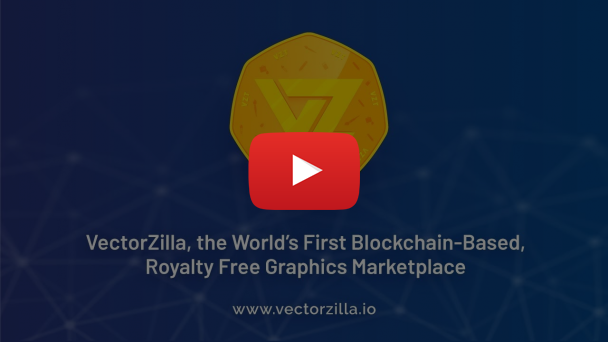 VectorZilla, the world’s first royalty-free, stock graphics platform and marketplace based on blockchain and deep learning technologies, has announced the VectorZilla Token (VZT) presale scheduled between Jan. 15, 2018, to Feb. 5, 2018. This is the first time that a stock graphics marketplace catering to a global audience has adopted a transparent and semi-decentralized platform with blockchain technology. A private pre-sale of VZT is scheduled in the first week of January 2018, and the public ICO will go live a few weeks after pre-sale. 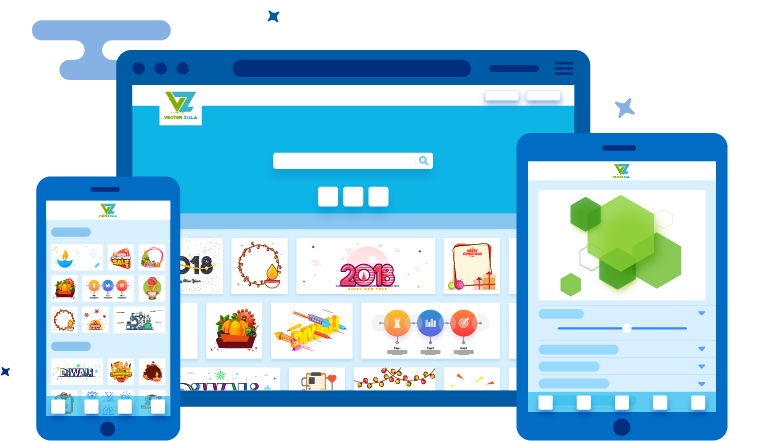 VectorZilla.IO is a revolutionary new marketplace for stock graphics, featuring over 1 million self-owned graphic elements and over 120,000 compositions. Built on top of the Ethereum network, the platform will see a beta launch take place in the second quarter of 2018. VectorZilla’s enviable image library is currently worth $25 million and can be accessed at affordable rates using VZT at super-fast speeds, or other digital currencies and fiat money that are converted to VZT during checkout. The VZT can also be freely traded on crypto exchanges. The VZT sale comprises 100 million tokens, of which 75 million are earmarked for the ICO crowdsale. The pre-sale public offer comprises 5 million VZT with a target of 10,000 ETH, and comes with a bonus of up to 25 percent as an incentive for early investors and participants. Of the total, 23 million VZTs will be held in a reserve fund for management and acquiring future content and licensing, while 2 million tokens, to be kept in multiple signature wallets, will go towards the token-sale cost, an affiliate and bounty programs. Subscribers who participate in the pre-sale above 10 ETH will also receive a special 10 percent additional bonus. 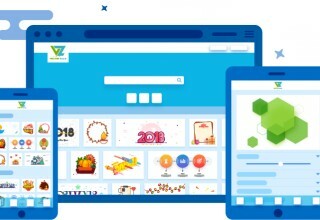 VZT can be bought with cryptocurrency (Bitcoin (BTC), Ethereum (ETH) Litecoin, Ripple, Wave etc.) or fiat currencies. 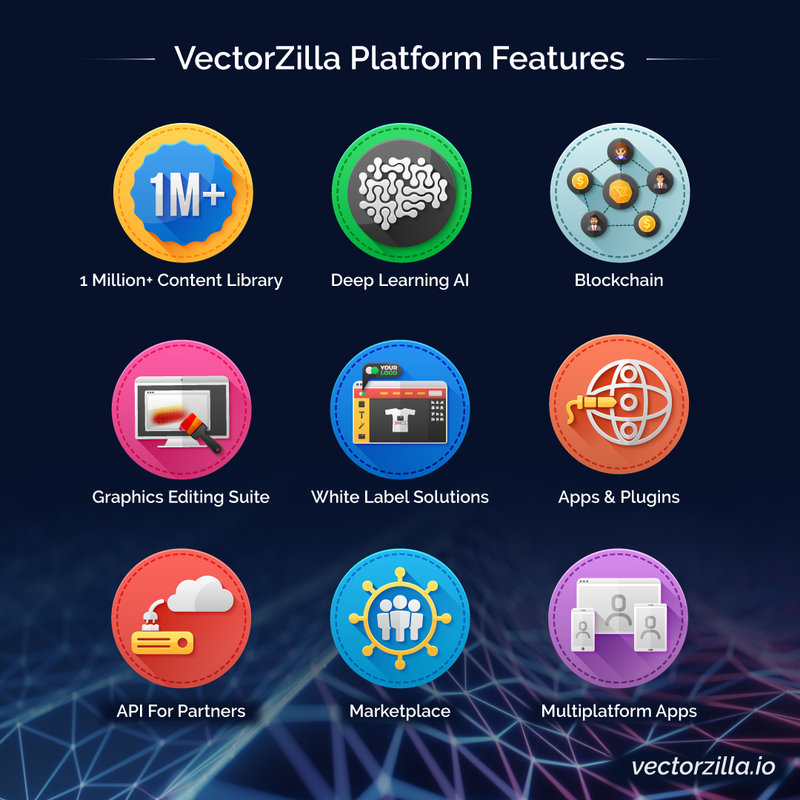 “VectorZilla is our most ambitious and cutting-edge platform that will transform the royalty-free stock graphics industry. As the world’s first blockchain and AI-based marketplace, we welcome contributors and participants from all over the world to make VectorZilla the biggest and most trusted royalty-free graphics storehouse ever created,” said Abdul Qaiyoom, co-founder and CEO, VectorZilla. Several features make VectorZilla the most ambitious and revolutionary project in the global free stock graphics marketplace. It is the first of its kind in the world to use both the blockchain and artificial intelligence (AI) technologies in the huge market for free graphics, a trusted and reliable online service popular all over the world. The blockchain is the future of such online platforms, giving it maximum security, transparency and data storage. 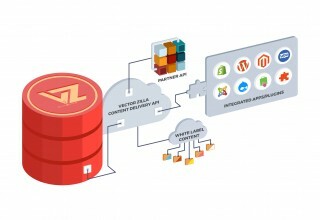 It also allows VectorZilla to offer much-needed services such as white-label and integrated apps. Contributors from all over the world are thus likely to participate at VectorZilla, which aims to serve millions of businesses and individuals after its formal launch. Built upon the most cutting-edge and futuristic tools, VectorZilla utilizes the Ethereum decentralized ledger with multiple security levels and transparent and open transactions between contributors, customers and partners. Each user will thus receive their fair share with easy transactions and instant payment. The AI-driven search engine offers contextual and highly relevant search results, thus creating efficiency and a wholesome user experience. All popular platforms (Adobe Illustrator, Sketch, WordPress, Shopify, Magento, etc.) will be able to utilize content from VectorZilla through plug-ins, apps and extensions. Also available are highly usable API and multi-platform apps, and a white label solution for select partners. The team behind VectorZilla comprises over 40 industry professionals from diverse fields, including technology, management, creative, operations, sales and marketing. The operations are backed by Allies Interactive Services Pvt. Ltd., one of the world’s largest vector stock graphics creation and distribution companies and a leading contributor to sites like shutterstock.com, depositphotos.com, storyblocks.com and other stock graphics marketplaces. Allies Interactive Services carries over 18 years of experience in software technology and the microstock graphics industry. Team members carry decades of experience in UI/UX, creative graphic design, software development, IT consulting, business management and entrepreneurship, with some members working on blockchain technologies since its early days. 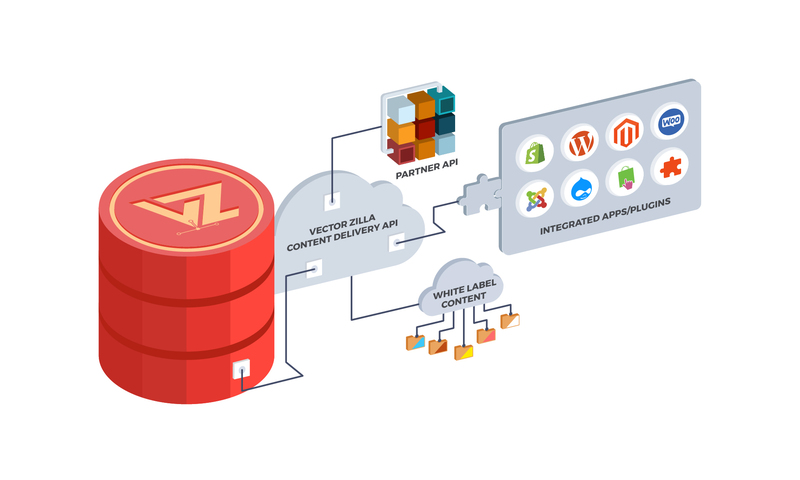 VectorZilla’s vision is to be the preferred platform for all graphics requirements and advanced, cloud-based, online editing tools that deliver maximum productivity right inside a web browser. The worldwide audience includes creative freelancers, creative agencies, publishers (bloggers, etc. ), publishing houses, content writers and anyone who requires royalty-free stock graphics. The launch schedule of VectorZilla has been formally announced in three phases. The first phase will see the platform go live with over 120,000 vector graphics and over 1 million vector elements. Also on offer will be integration apps, plugins, extensions and more, catering to online platforms for blogging, e-commerce or content management systems. The second phase will open up new possibilities with advanced graphics editing tools. In the third phase, VectorZilla will open itself to the world community of contributors, buying royalty-free licenses of graphics files and offering 90 percent sales proceeds. Funds raised from the pre-sale and ICO will contribute towards developing and marketing VectorZilla. Development, content acquisition and team expansion will receive 55 percent of funds, global legal compliance and operations will receive 10 percent each and 20 percent of the funds will be used for pre-sale, referral, marketing and promotion of VectorZilla. Participants in the token sale and contributors desirous of joining VectorZilla can obtain detailed information, including a whitepaper, token structure and pricing, from the website. For more information, please visit https://vectorzilla.io.